At the Paxiom Group we offer our customers the choice between automatic auger filling and vibratory weigh filling machinery. Both technologies have their advantages, in this post I will focus on what applications typically require an auger filler in order to ensure the best efficiencies. An auger filling machine is most often used for powder packaging applications including flour, spices, ground coffee, baking soda, chemicals, sugar, granulated salt, sweeteners and any other products that are dusty in nature. The reason an auger filler is advantageous in these types of applications is because the unit is completely enclosed, these particles cannot escape and create dust clouds. If these dusty products where to be run on a traditional vibratory weigh filler it would be very difficult to contain the dust, thus resulting in a messy packaging environment. Products like cake mixes, brown sugar and flour are what we consider non-free flow products and have a tendency to clump. 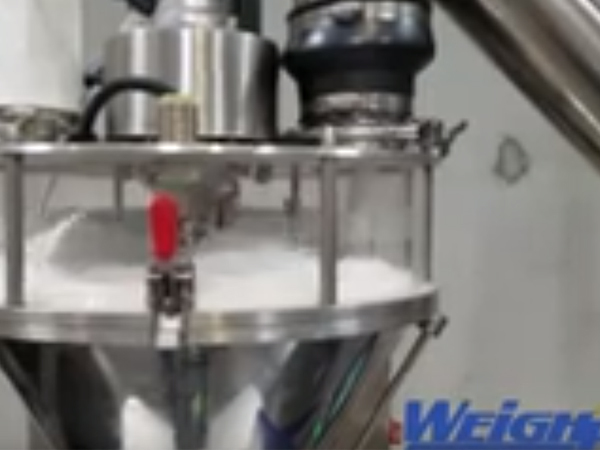 An auger fillers agitator and screw design help break up the product and transfer it to the filling zone, often times outperforming a traditional net weighers accuracy ability. If you were to run these products on a linear net weigher for example you would tend to see weight inaccuracies with peaks and valleys due to the nature of how these products clump. In regards to cost vs. production rates, an Auger filling machine like our Star Auger offers a fantastic return on investment. Auger fillers are relatively inexpensive and can produce high speeds. What they may give up in accuracy in certain cases vs. a weigh filler (due to the fact that Auger fillers do not weigh, they volume fill), they more than likely to make up for it in cost and production rates. If you have any questions in determining if your product is best suited for an auger filling machine, please do not hesitate to call us for more info. 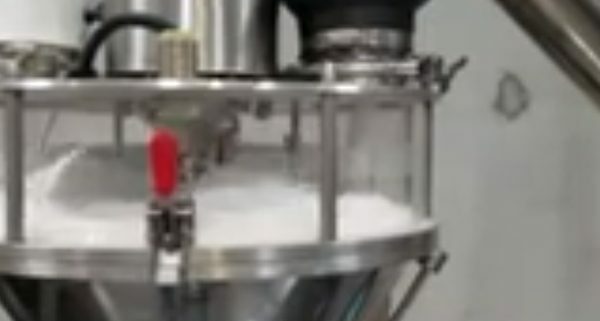 https://www.paxiom.com/wp-content/uploads/2019/02/Star-Auger-and-VerTek-vertical-form-fill-and-seal-machine-to-packaging-powdered-detergent.jpg 450 600 Paxiom Blog /wp-content/uploads/2019/03/Paxiom_logo_white.png Paxiom Blog2018-05-06 17:25:282019-02-09 03:44:50Why use an auger filler as opposed to a vibratory net weigher?